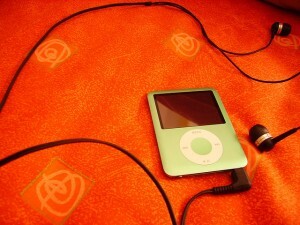 If you ask a typical teenager, iPods and MP3 players are essential technologies and important part of their lives. That's why, when a high school in Natick, Massachusetts proposed a ban of the audio devices on campus, students staged a protest -- using, what else, technology. To make their case against teachers and administrators, who argued that handheld devices like these encourage distraction, cyber-bullying, and electronic cheating, students created a Facebook page and online petition against the policy, which garnered hundreds of Facebook "likes" and petition signatures. Their main point: while cell phones can be distracting and enable cheating, the white noise of music from iPods and MP3 players actually helps them to concentrate. One student called iPods "a legitimate study tool." Despite her skepticism, Natick High School principal Rose Bertucci is quoted in a MetroWest Daily News article as seeing the effort to be an education in itself: "I'm happy they're discussing it, and I think it's a really good test case, because they're trying to use social media to do something positive." And in the end, it worked. When kids also showed up in droves at a town hall meeting, their efforts proved successful -- the Natick School Committee agreed to cancel the policy, which was slated for a vote on September 27th.